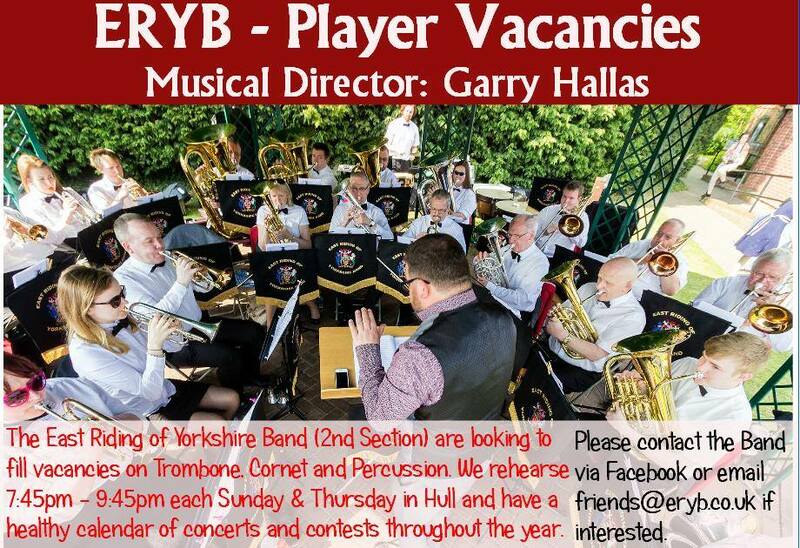 The East Riding of Yorkshire Band have vacancies for Trombone, Solo cornet and Percussion. We rehearse twice a week (Sunday and Thursday) in Hull. Please get in touch via the contact form or via our Facebook if you are interested in joining our friendly band!